86, Greenville, passed away Thursday, Dec. 6, 2018 at ManorCare Nursing Home. He was born on November 28, 1932 in Eindhoven, Netherlands to the late Hendrick and Henricka (Verhulst) De Bont. Joe married Johanna Donkers on Aug. 29, 1957. They decided to move to the U.S. in 1962 with their two boys. With $65 in their pockets and the hope of a better life for their family, they settled in Greenville, WI and Joe began working as a painter and wallpaper hanger. He was a member of Local Painters Union 802, retiring in 1994. 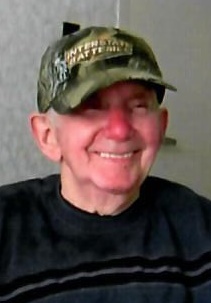 Joe enjoyed spending time with his family and friends; especially playing card games and fishing. He is survived by his wife, Johanna of 61 years; sons: Mike (Maria) De Bont, Greenville and Ronny De Bont, Greenville; grandsons: Joseph and Zachary special friend, Alisha Koehnke. He is further survived by his family back in Holland, siblings: Henk (Margriet) De Bont, Wil De Bont, Pieter (Wilma) De Bont and Rita (Peter) De Jong; sister-in-law Coby Gruythuysen and her son Mark; as well as many nieces and nephews. The family would like to thank the staff of ManorCare Nursing Home and Heartland Hospice for their wonderful care of Joe these past few years.